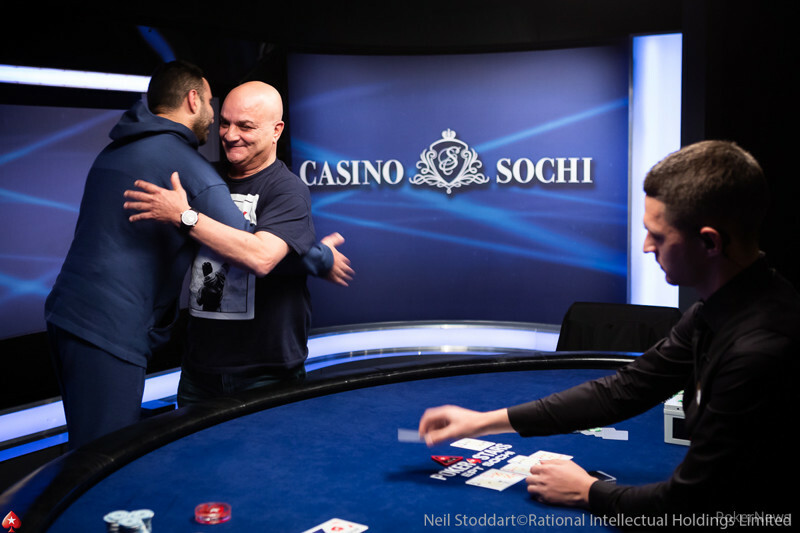 Uri Gilboa has won the PokerStars European Poker Tour Sochi Main Event for ₽27,475,000 (~$420,000) after defeating start-of-day chip leader Zakhar Babaev in an all-Israeli heads-up contest. 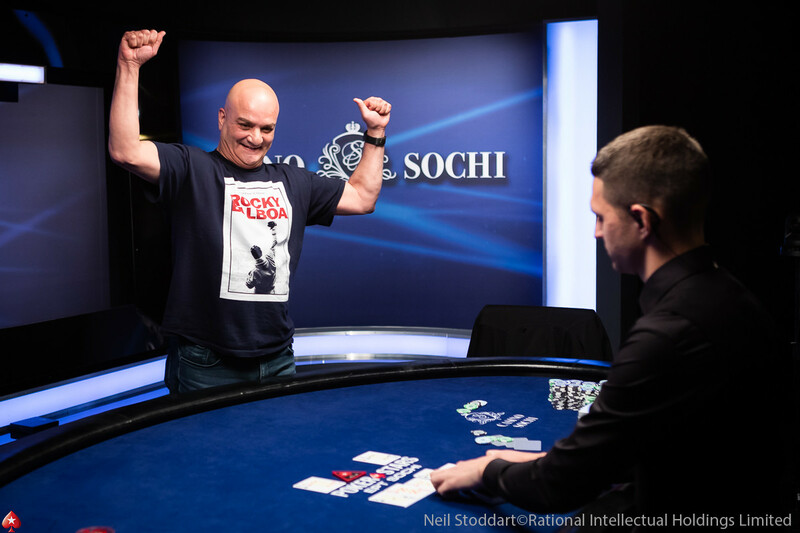 Gilboa has now become the first-ever Israeli EPT champion and at 61 years of age, the consensus here at Casino Sochi is that he is the oldest EPT champion ever as well. 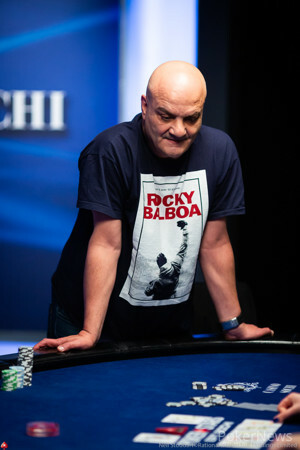 Wearing a t-shirt form the 'Rocky' film franchise throughout the later stages of the poker tournament, his friends told him not to change his t-shirt for luck. It must have worked because Gilboa now adds over $400,000 to his career earnings. "I'm glad that I'm the first Israeli winner," Gilboa told Joe Stapleton shortly after his victory. "You have to know that the standard of Israeli poker is becoming tremendous. 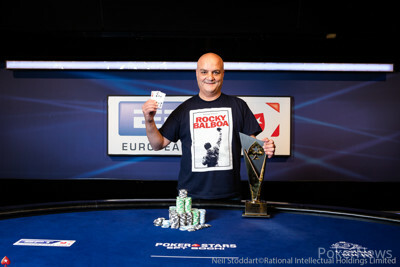 We've had a lot of achievements at the WSOP and at other European tournaments. I know I'm the first, but for sure I'm not the last. 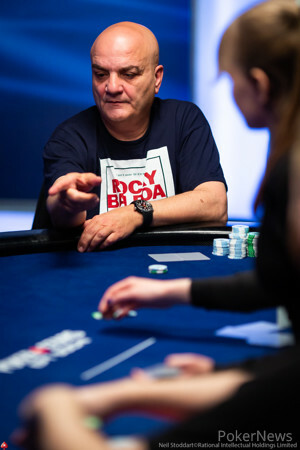 An experienced bridge player, Gilboa first started playing poker eight years ago and says that playing bridge on the national scene helped him a lot. "I'm self-taught. I love to learn and I'm improving all the time. I learn from my mistakes, from others and from other very good young Israeli players. "Never give up. You can start, you can study and it's an amazing game. I love it." Runner-up Babaev had started the day with a commanding chip lead ahead of the other five players, and he soon moved over ten million. Gilboa came into the day in the middle of the pack and benefited from two major missteps from opponents. The first came from Vyacheslav Mizun who shoved with ace-high into the pocket jacks of the Israeli player. Jacks held and Gilboa was up into second place in the chip counts. 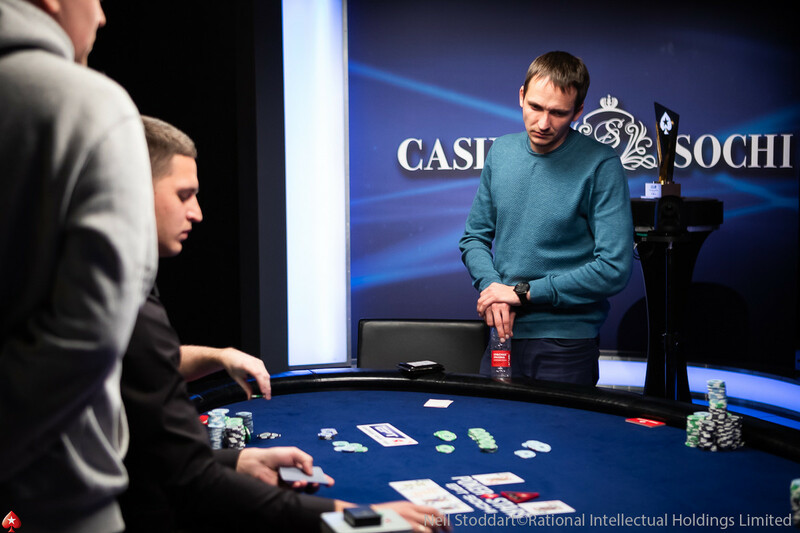 Mizun soon doubled through Ivan Ruban who himself had been starting to move up the chip counts, but it was Serafim Kovalevsky who was the first elimination of the day. He ran pocket sixes into the pocket eights of Babaev to bust in sixth who now sat with more than half the chips in play. 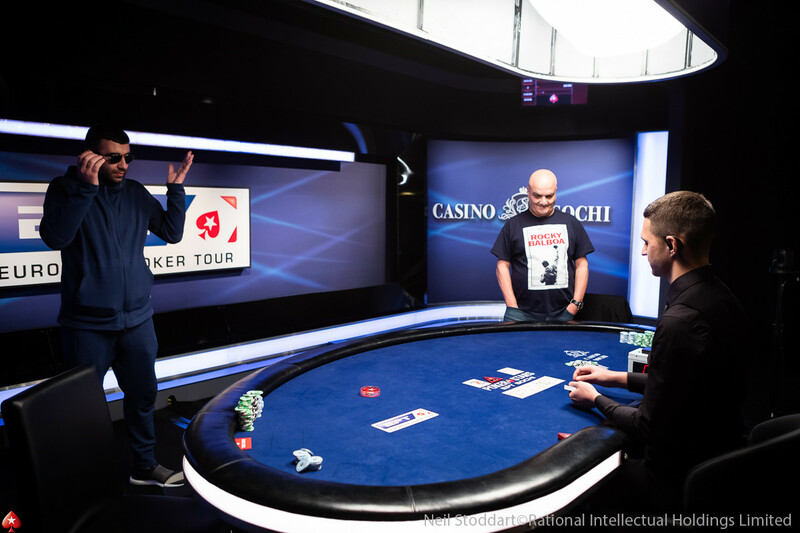 The next big all-in confrontation was between Mizun and Maksim Pisarenko. Pisarenko flopped a full house to leave Mizun with just one big blind. However, three doubles in four hands got him back to relative safety and avoided the trapdoor...for now. 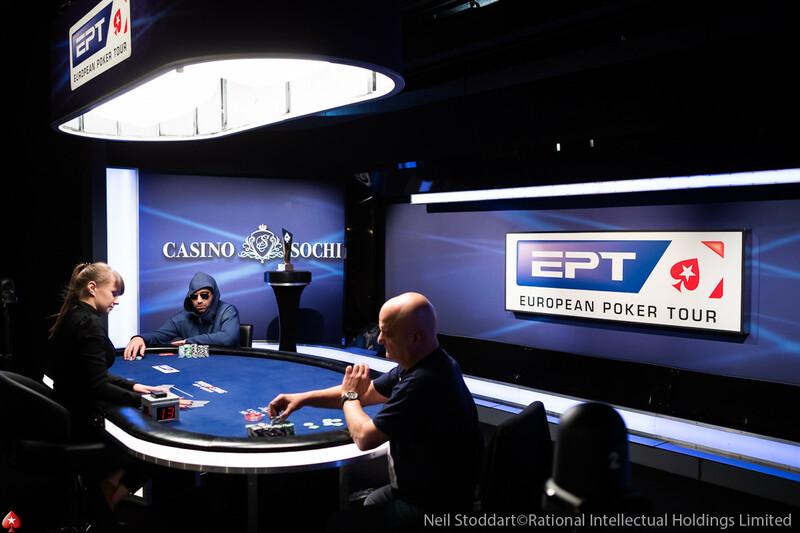 Babaev could have been forgiven for sitting back and letting the other players fight it out, but instead, he turned it up a notch, running an audacious bluff with seven-deuce against Ivan Ruban to move even further ahead. However, what goes up must come down and the second of Gilboa's pivotal hands was to come against Babaev. Babev held ace-five and after check-calling on flop and turn, he check-jammed into Gilboa's queens allowing Gilboa to close the gap. And on the very next hand, Babaev's formerly monster chip lead was gone with the two Israeli players level in chips. Pisarenko and Mizun both doubled either side of the break, with Babaev managing to eke out a chip lead once more, but Gilboa once again closed the gap with the elimination of the plucky Mizun who doubled five times today alone. Mizun had flopped a set but Gilboa turned a flush draw to send him to the rail. 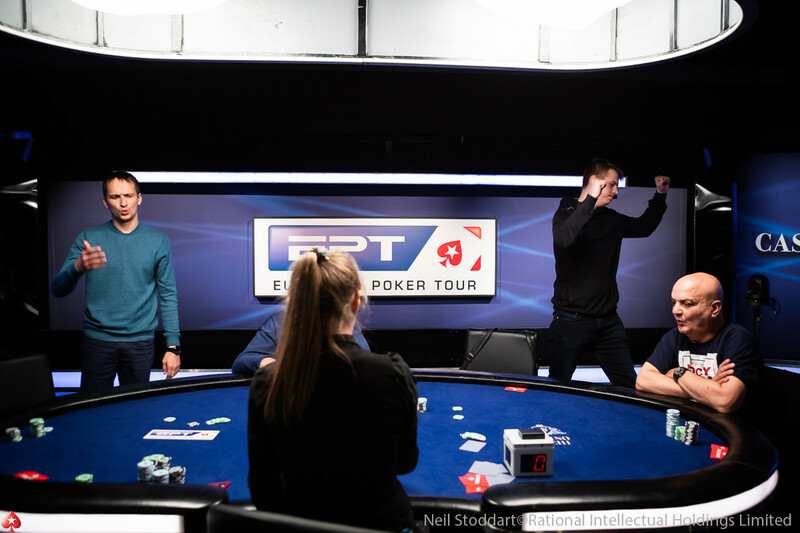 Both Gilboa and Babaev continued to slug it out, trading pots as the chip lead swung between the two of them before Ruban was eliminated in fourth place. He lost a classic race with queens against Babaev's ace-king after the latter flopped an ace. By this stage Pisarenko was slipping, keeping himself in contention with a series of shoves. But he never looked like breaking the Israeli duopoly at the top of the chip counts and was eliminated by Gilboa when shoving his last six big blinds. From the day's play so far, this was the heads-up battle most neutrals would have been hoping for and it didn't disappoint. Babaev appeared to only have one gear and kept the foot firmly on the gas. Gilboa kept him firmly at bay before the first all-in confrontation. Babaev had flopped top pair against Gilboa's flush draw, and Babaev couldn't look as the turn and river bricked and he doubled into the lead. 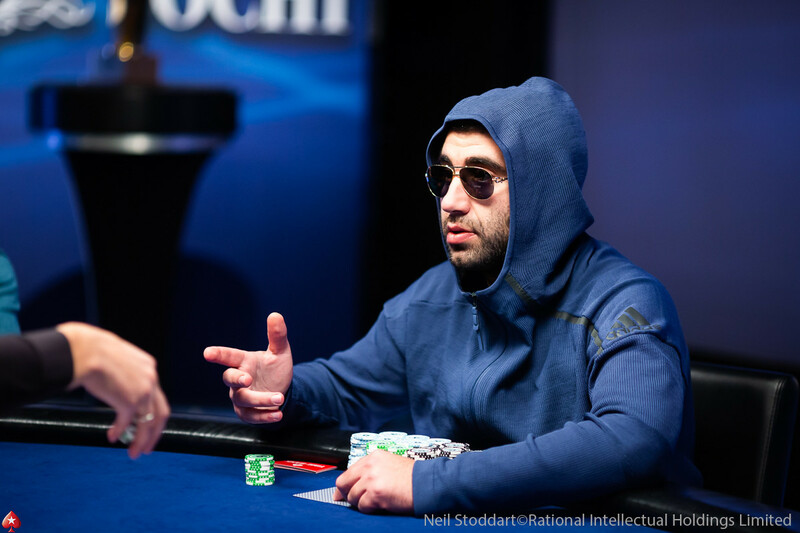 After coming into heads-up play as the chip leader, some players may have rolled over under the pressure of Babaev, but credit to Gilboa he stayed in it even as the chip lead continue to switch between the two of them. 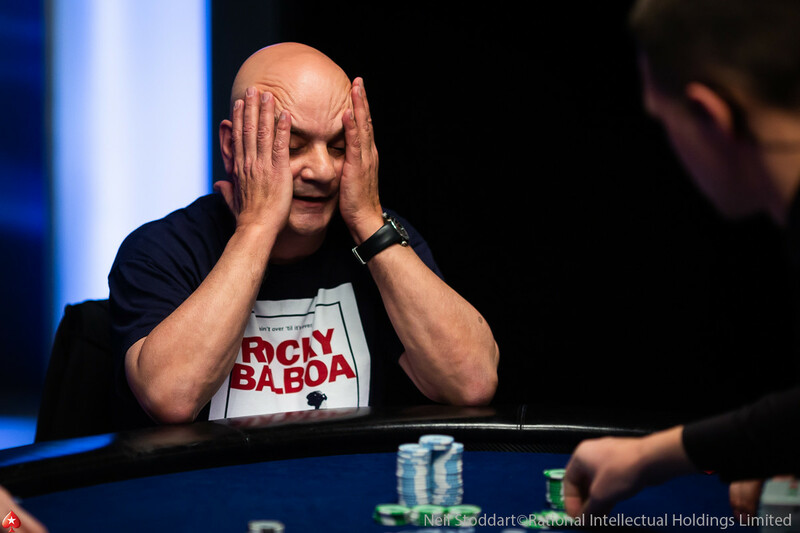 But just over 30 hands into heads-up play, and as the contest looked to draw on, it all came to a crashing halt with Babaev three-betting all in for 92 big blinds with ace-nine only for Gilboa to have opened with ace-king. Gilboa held and on the very next hand cleaned up the final six big blinds of his compatriot to eliminate him and seal the victory just before 8pm local time. Hand #177: Zakhar Babaev open-shoved for his last 655,000. Uri Gilboa snap-called. 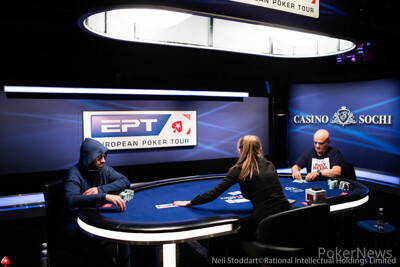 The board ran out with Babaev drawing dead on the turn and was eliminated in second place. Hand #176: Uri Gilboa raised to 475,000. Zakhar Babaev three-bet all in for 11,120,000 and Gilboa snap-called. The flop gave Gilboa a massive lead. The turn and river changed nothing and Babaev was left with just 12 big blinds. Hand #171: Uri Gilboa received a walk in the big blind. Hand #172: Zakkhar Babaev received a walk in the big blind. Hand #173: Zakhar Babaev raised to 390,000 and Uri Gilboa defended his big blind with . The flop came and Gilboa checked. Babaev bet 675,000 and Gilboa called. The turn was the and both players checked. The river was the completing Gilboa's straight. Gilboa bet 1,100,000 and Babaev raised all in putting Gilboa to the test. Gilboa called and took down the pot. Hand #174: Uri Gilboa raised to 450,000 and Zachar Babaev called. The flop came and Babaev checked to Gilboa who bet 700,000 and took down the pot. Hand #175: Zakhar Babaev opened to 430,000 and Uri Gilboa defended his big blind. The flop came . Both players checked and the turn was the . Gilboa checked and Babaev bet 505,000. Gilboa called. The river was the . Both players checked and Babaev took down the pot. Hand #166: Zakhar Babaev received a walk. The turn brought the and Gilboa checked. Babaev bet 1,700,000 and Gilboa folded. Hand #168: Uri Gilboa opened and Zakhar Babaev called. Babaev check-folded on a flop. Hand #169: Zakhar Babaev raised and Uri Gilboa called. The pair checked down the flop and turn and Gilboa bet 700,000 on the river. Babaev folded. Hand #170: Uri Gilboa opened but folded to a shove from Zakhar Babaev with . Hand #161: Uri Gilboa raised to 450,000 and Zakhar Babaev called in the big blind. The flop came and Babaev check-folded to a continuation bet of 600,000. Hand #162: Uri Gilboa received a walk. Hand #163: Uri Gilboa opened and took down the pot. Hand #164: Uri Gilboa opened and Zakhar Babaev defended his big blind. The pair checked down a board and Gilboa took down the pot with queen-high. Hand #165: Zakhar Babaev opened and Uri Gilboa defended his big blind. The players checked down the board and Gilboa bet 600,000 on the river. Babaev called and took down the pot. Hand #160: Zakhar Babaev opened to 355,000 and Uri Gilboa defended his big blind. The turn was the and the river the and Babaev doubled up. Hand #157: Uri Gilboa raised to 465,000 and Zakhar Babaev defended his big blind. Babaev checked the flop to Gilboa who continued for 700,000. Babaev called. The turn was the . Babaev check-called 800,000. The river was the . Both players checked and Gilboa took down the pot, outkicking his opponent. Hand #158: Zakhar Babaev raised to 325,000 and Uri Gilboa three-bet to 1,000,000 and Babaev called. The flop came and Gilboa checked. Babaev moved all in and Gilboa asked for a count before folding. Hand #159: Zakhar Babaev received a walk in the big blind. Hand #152: Uri Gilboa raised to 260,000 and Zakhar Babaev defended his big blind. The flop came . Both players checked and checked the turn. Babaev checked the river and Gilboa bet 500,000. Babaev folded. Hand #153: Zakhar Babaev raised to 355,000 and Uri Gilboa three-bet to 900,000. Babaev called and the flop came . Gilboa bet 1,100,000 and Babaev folded. Hand #154: Uri Gilboa opened to 350,000 and Zakhar Babaev three-bet to 850,000. The flop came . Babaev moved all in and Gilboa folded. Hand #155: Uri Gilboa received a walk.